Columbus City Council on Monday approved legislation that prohibits therapies that attempt to alter the sexual orientation or gender identity of lesbian, gay, bisexual and transgender (LGBT) youth. According to NBC affiliate WCMH, the vote was unanimous. Such therapies go by names such as “conversion therapy,” “reparative therapy” or “ex-gay therapy.” Medical professionals have called the therapies ineffective and could possibly damage a young person. Columbus joins Cincinnati and Toledo in approving such bans. 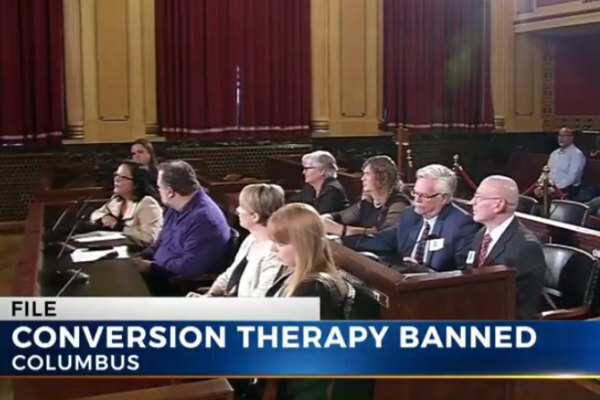 “Columbus just became the 3rd city in Ohio to ban conversion therapy,” LGBT rights group Equality Ohio tweeted. Attempts to approve a state-wide ban have failed. Elsewhere in the state, Akron became the 17th city to approve a law that prohibits discrimination on the basis of sexual orientation and gender identity.